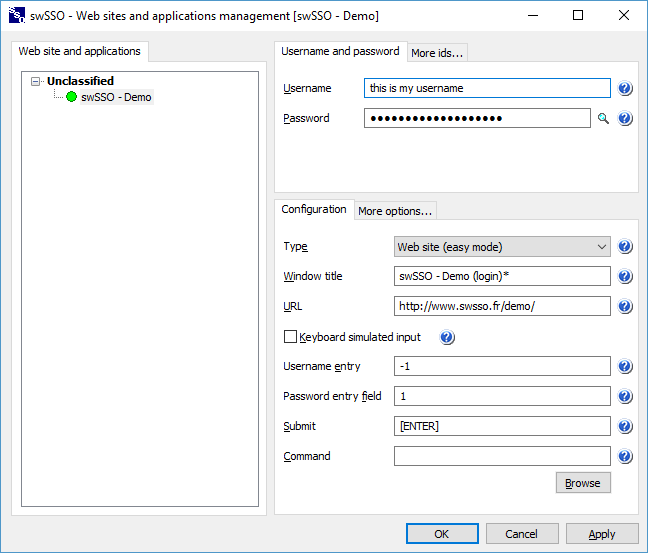 Download standalone executable swsso.exe if you plan to use swSSO with a master password or if you don’t have an administrator account. Download setup.exe if you don’t want to be prompted for a master password at start. If you change your mind in the future, you will be able to witch easily from one mode to another. 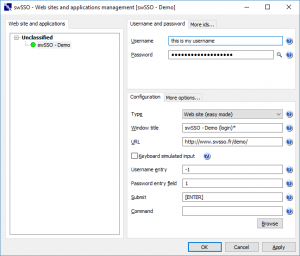 If you chose the standalone executable, you must define a master password, that will be used to protect all your web sites and applications passwords. 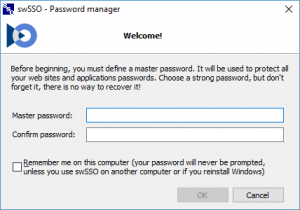 Choose a strong password, but don’t forget it, there is no way to recover it! 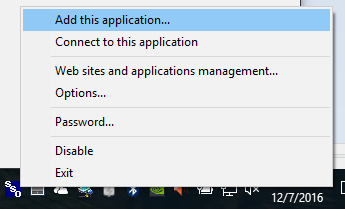 (Enterprise version comes with recover options). 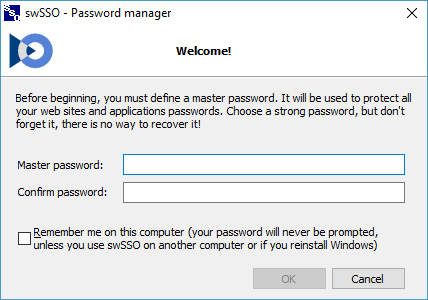 In this window, enter your username and password, then click OK.
You should see swSSO filling in the login form. You did not see it? Close your browser (not only the tab) and open it again!